Ricky “Rick” E. Fishel, 71, of Loves Park passed away peacefully in his home on Friday, August 31, 2018. 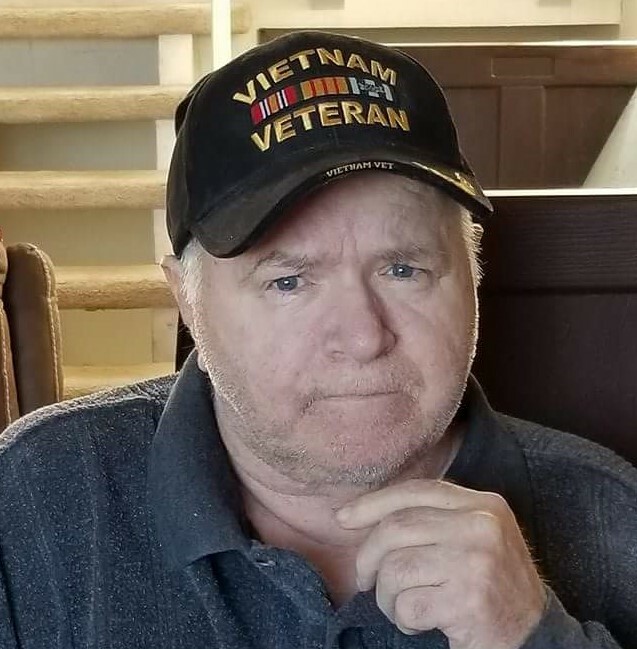 Rick passed away from kidney failure and diabetes caused by the exposure to Agent Orange while serving in the Vietnam War. He was born December 18, 1946 in Rockford to Bob and Lois (Straher) Fishel. Rick was employed at Cam Car and was a self-employed mechanic. Rick was known as one of the best and most honest mechanics in town. He enjoyed teaching others everything he knew about cars. Rick enjoyed racing at the Rockford Speedway and at the Byron Dragstrip. He loved the Chicago Cubs, listening to music, and collecting records. Rick cherished the friends he had made at the local car lots. He enjoyed meeting them and talking with them about cars. Rick’s real joy in life was his grandchildren. He always looked forward to taking them on vacation to the Wisconsin Dells, taking walks around the neighborhood, joking around with them, and taking them to his garage where they would help him and learn about cars. Rick is survived by his wife of 52 years, Charlotte (Nason) Fishel; his three children, Dori Scott, Rick Fishel, Carrie Fishel; his six grandchildren whom he loved so dearly, Trey Scott, Brooke Fishel, Alex Cleaveland, Hayden Scott, Cody Fishel, Addisyn Scott; his four siblings, Steve (Tina) Fishel, Sharon Fishel-Nelson, Lynnette Benjamin, Rob Fishel; a special aunt, Vicki Rimkus; his special in-laws, Fred (Cathy) Nason, Bob (Francine) Nason, and Doris Rush. Rick also leaves behind numerous nieces and nephews. A special thank you to the wonderful Hospice nurses that took great care of Rick. Funeral services will be held at 11:00 a.m. on Saturday, September 8, 2018 at Honquest Family Funeral Homes with Crematory, Mulford Chapel, 4311 N. Mulford Rd., Loves Park, Illinois with visitation from 10:00 a.m. until time of service. Burial at Sunset Memorial Gardens. In lieu of flowers, a memorial will be established in Rick’s memory.